SwaSwara is the ideal place to relax and recharge your batteries. 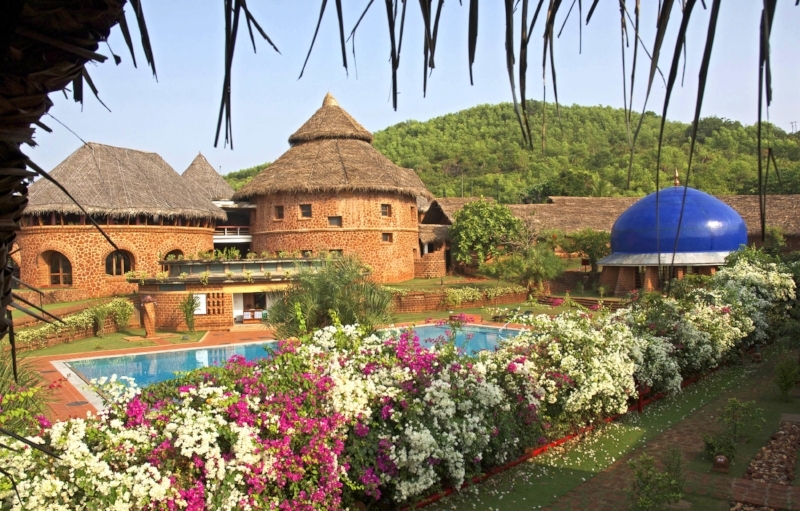 Surrounded by luscious nature, this Indian resort offers yoga, fitness packages, meditation and ayurveda treatments. Their approach is holistic and nutrition plays an important part here. The resort caters for vegan, vegetarian and gluten free and all the food on offer is prepared on the premises and is fresh and healthy. Located in the state of Karnataka, SwaSwara is just outside the temple town of Gokarna, situated on India's western coast, nestled on top of a cliff overlooking Om Beach. The area is relatively unspoilt and surrounded by coconut and banana trees, blue sea and sandy beaches. SwaSwara is all about relaxing and recharging and it's the perfect place to get away from it all. Yoga, meditation, ayurveda spa treatments, chanting, fitness and cooking classes are all on offer. KAPJYI certified instructor Andrew Hillam leads the ashtanga and ayurveda lifestyle programme, whilst yoga instruction Nea Ferrier leads the ashtanga yoga immersion course. Yoga courses are available for all levels: from beginners to advanced. 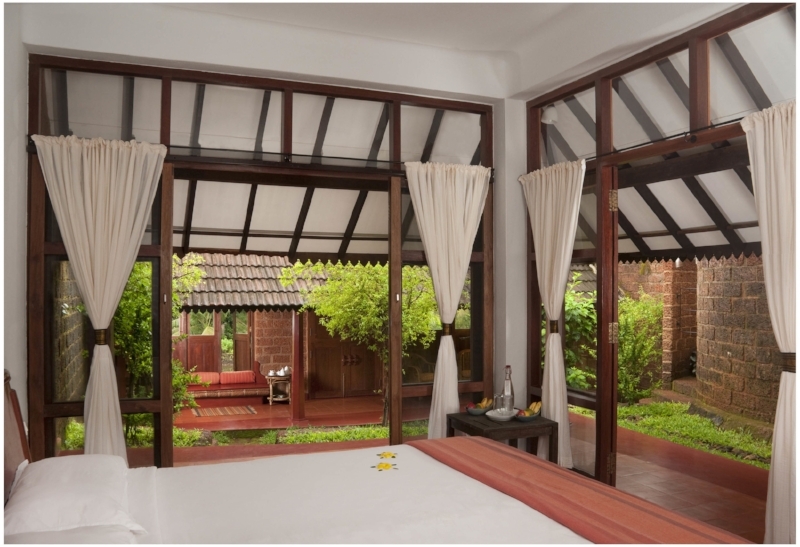 There are several packages on offer, from Ayurveda, Yoga and Inner Silence to Detox and Rejuvenation. Personal programmes tailor-made to each guests are also on offer. Nutrition is taken seriously at SwaSwara. Their holistic approach to health means that all the food on offer is not just delicious but also good for you! The food is vegan, vegetarian and also gluten free, and uses fresh, locally grown ingredients to create a mouthwatering eating experience. The resort boats 24 spacious Konkan villas, with bedrooms, bathrooms, lounge area, balconies, and even a private yoga deck on the second floor. All enjoy stunning views of the countryside and the ocean and are decorated with precious textile and natural hues that take inspiration fromsurrounding nature. 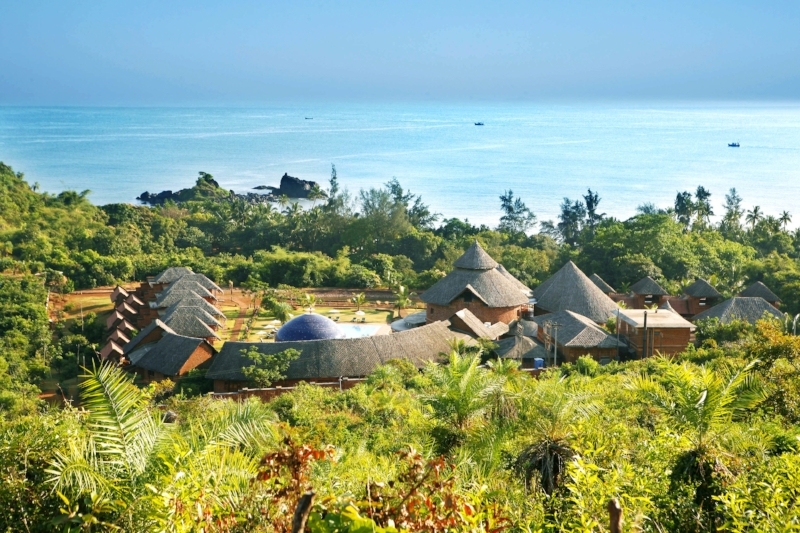 Everybody can benefit from a week at SwaSwara and recharge their batteries. Yoga enthusiasts will love it and so will anybody who wants to get away from it all. Prices: Prices start at £1,395 per person for seven nights. For more information and to book click here.